*Steve Paul Jobs who recently stepped down as CEO of Apple, which is one of the most valuable companies in the world, passed away today. He had been suffering from Pancreatic cancer. RIP Mr. Jobs and thank you for changing our lives in ways we never imagined possible. My condolences go to Mr Jobs family and friends. RIP. 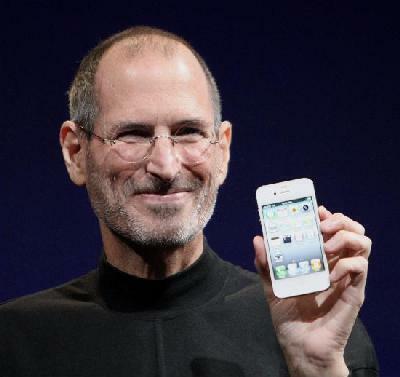 Steve, thanks for Apple, the company responsible for most of the innovations in computing that we now take for granted. First and foremost, a graphical user interface for computers which affects everything we do today from using a word processor to playing a video game. Thanks for introducing the Newton, which laid the foundation for Palm to popularize PDAs, later leading to smart phones and now tablet PCs. Finally, thanks for the i everything, as butterpecanrican puts it, which allowed my beloved Apple to regain its position as one of the top technological companies and still the most innovative in the digital era. But I’m still going to be mad at you for not licensing the Mac OS to computer makers, which allowed Bill Gates to use the crappy disk operating system he bought off the streets to eventually launch Microsoft, using the very GUI features you introduced to the world through the Mac OS. If you guys had only listen to reason, you would now have the title of richest man in the US and not Bill Gates. all his worldly accomplishments, Jobs lacked the milk of humankindness, which is fortified with LOVE and FORGIVENESS. Perhaps next lifetime Jobs will return as a kinder, gentler genius, one whose god is NOT MONEY.